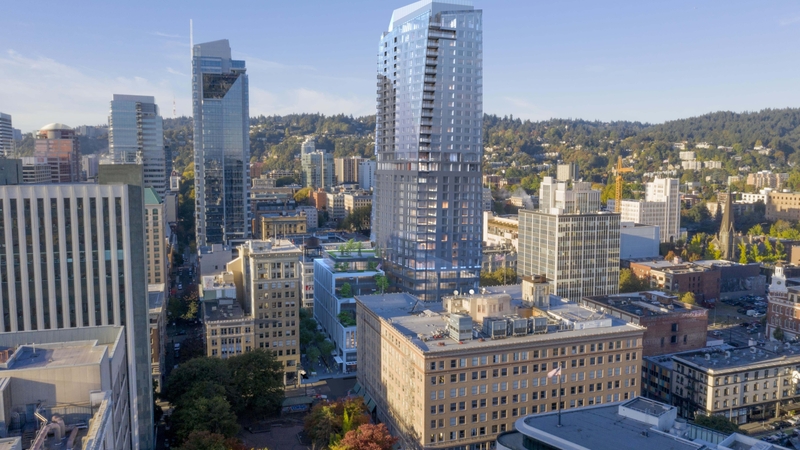 Portland, Oregon Located on the last undeveloped full block in downtown Portland, Block 216 will soon house a 35-story mixed use tower. 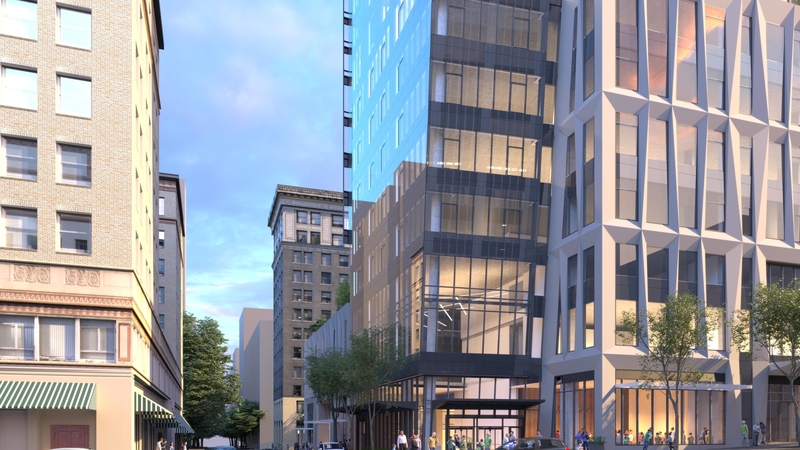 The milestone building will be Portland’s first project built on the Greenloop, and the largest development in the city since the US Bank Tower. 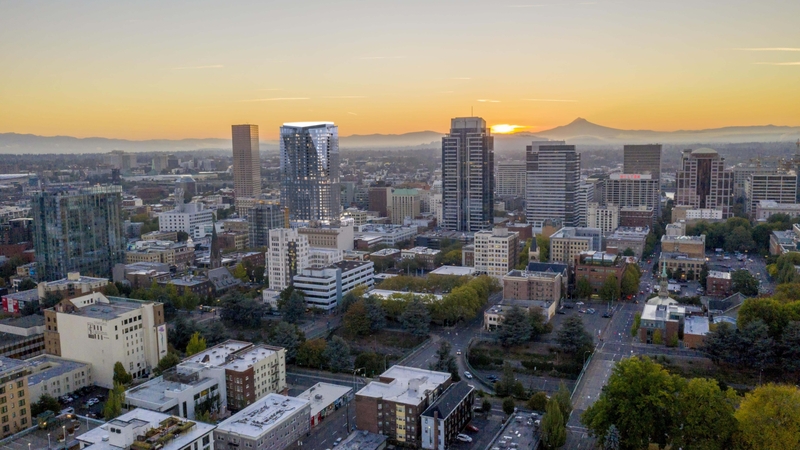 At 844,117 square feet, the project will likely be the largest Portland building of its era, and it will house a complex blended program: 160,000 GSF of office, a 249-key five star hotel, and 138 for sale private residences. 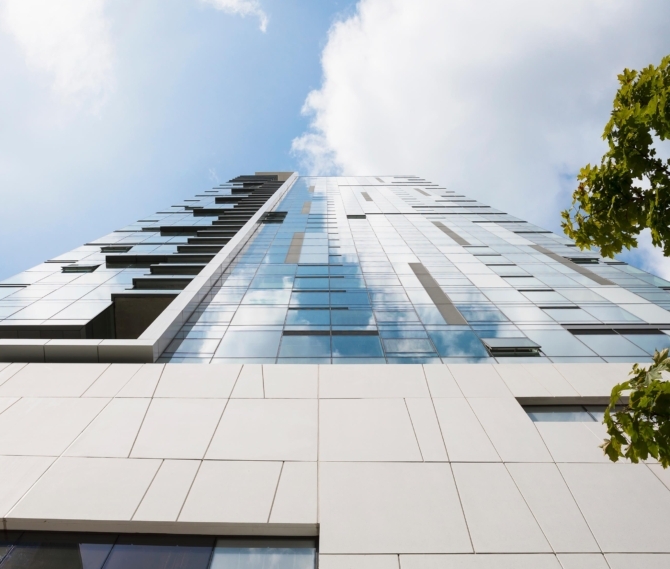 Between residential and hotel uses, floors 19 and 20 are dedicated to amenities shared by the hotel and private residences. 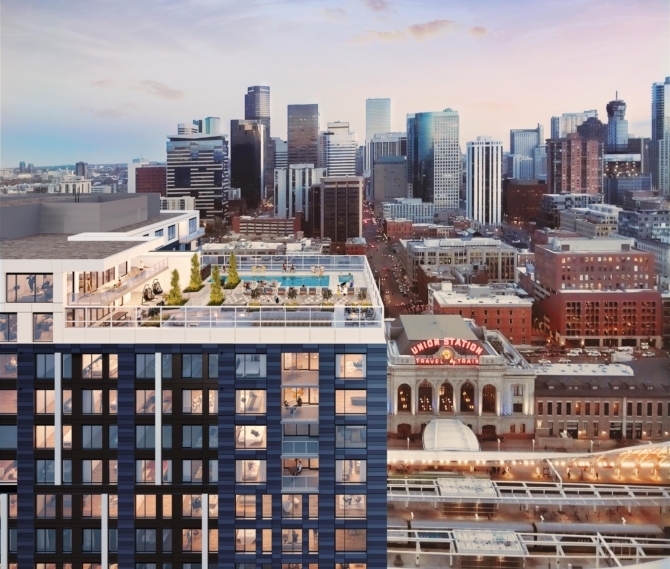 The amenity spaces on level 19 include a double-height pool, a spa tub, showers, lockers, a fitness area for residents and guests as well as a spa facility that will be open to the public. 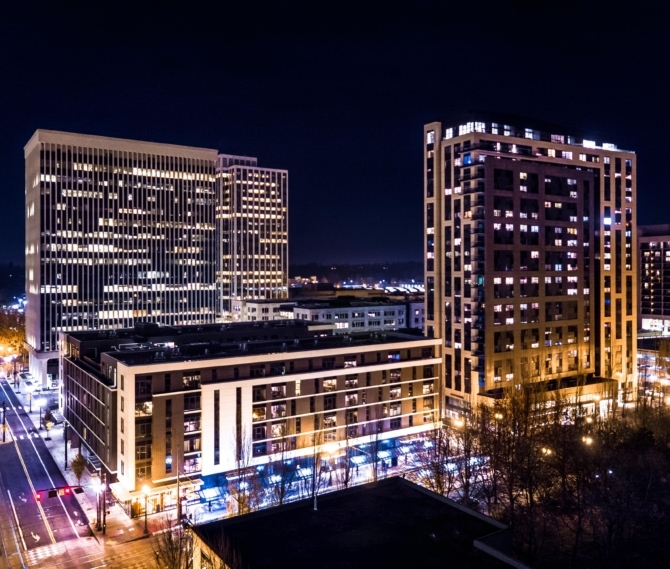 The amenity spaces on level 20 include a restaurant, and bar, and guest lounge. 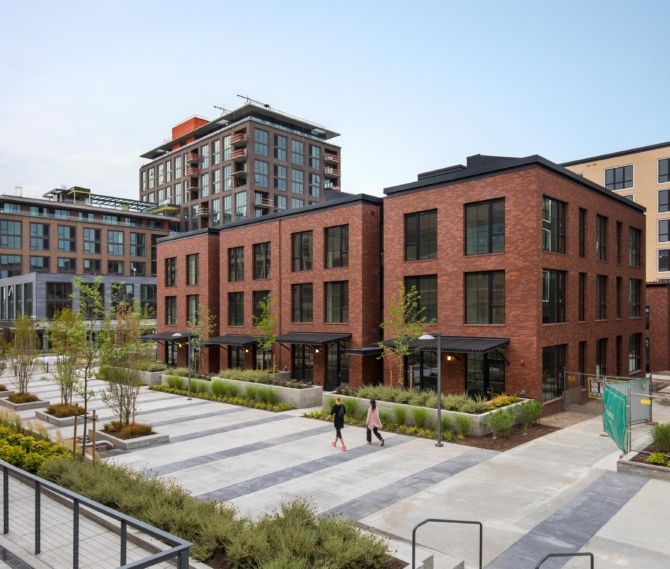 The ground level will bring 13,000 square feet of lively retail, three distinct entry lobbies for each use, as well as loading, trash, back of house, and the hotel bar. 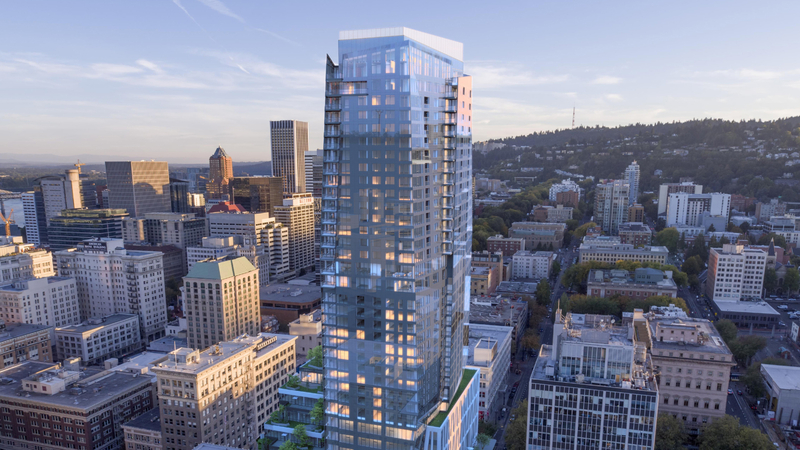 Designers sought an understated yet elegant resolution to the dynamic tower vernacular. 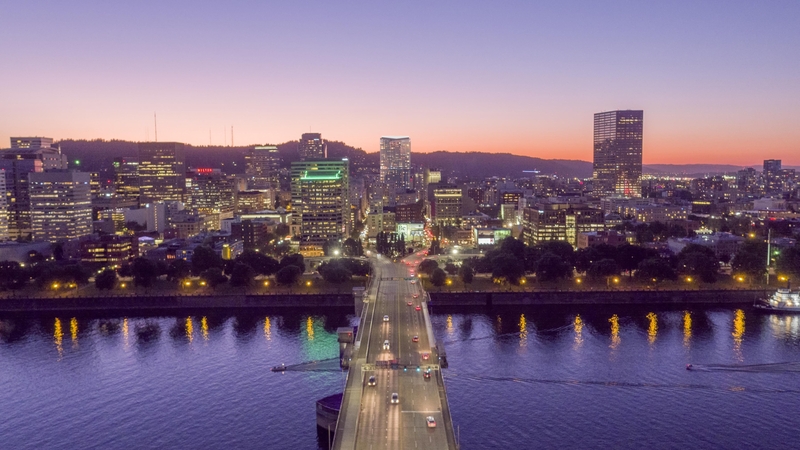 Standing at 460 feet tall, the building’s enclosure itself is the shape of a pure “gem” in Portland’s skyline.